Have you come back after a winter vacation to find your basement flooded? Does your area have a problem of floods during rains? In either case what you need is the best sump pump to ensure that your property is not seriously damaged due to water. Water can damage your walls, flooring, carpeting and any furniture or electronic that you may be keeping there. During a heavy rainstorm, you might face a loss of electricity. In that case, you need a backup sump pump which will run on battery or water power to take the load. 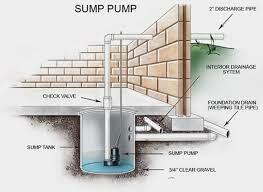 Before you buy a pump, let us look at what you need to know and understand about sump pumps. Pedestal: The motor is placed above the level of the sump and water. Submersible: Both the motor and the pump base are submerged in water. this is the most important criteria while selecting a pump. Measured in gallons/hour, this is the measure of the quantity of water being pumped. The higher the number the better the pump. The capacity you choose also depends on the amount of water you can expect in your area, low lying areas and areas with heavy rainfall require high pump capacity. Ensure you backup pump has as much capacity as your regular pump else during a power failure, your backup system will fail. The height up to which the pump can lift the water. Choose a pump which can lift the water from inside the sump, over the wall and into the drain. Good quality material will ensure that your pump lasts for a long time. Pumps made of specially engineered PVC, thermoplastics, and cast iron is considered most durable. Warranty and Installation: ensure you get the best deal when it comes to warranty and also select a pump which is easy to install by your local plumber if you cannot do it yourself. 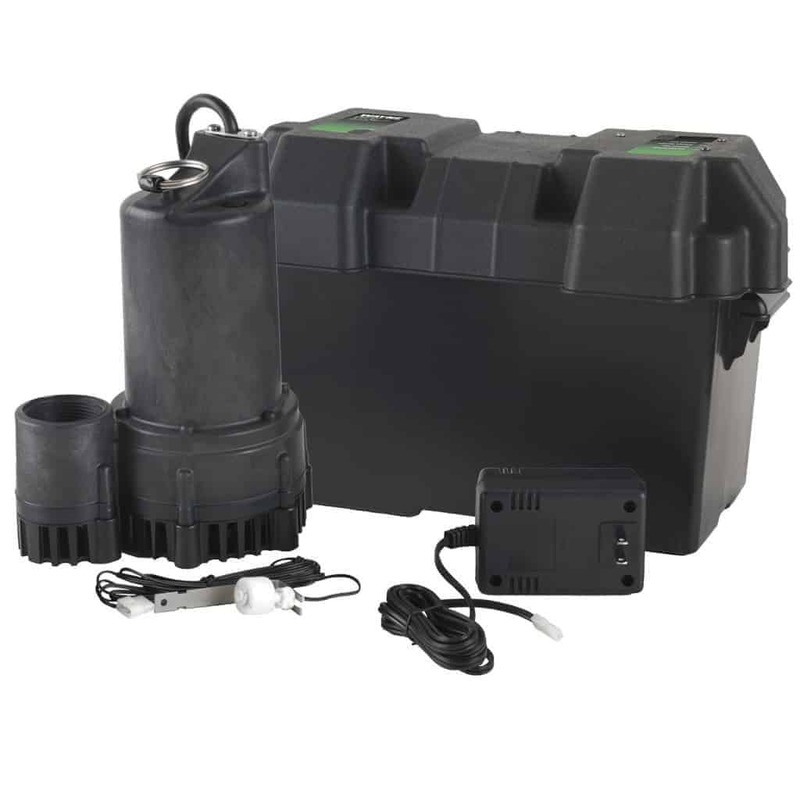 If you are planning to use water powered backup sump pump ensure that your home meets all the pre-requisites else a battery operated one might be a better choice. For the backup pumps, try and use one which allows for AGM batteries as marine batteries require constant maintenance. Modern AGM batteries also have a 50% longer run time. 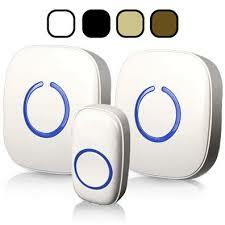 Also look at alarm and indicators available, during emergencies the more information you have, the better your control. The Wayne CDU800 comes from Wayne, a Scott Fetzer Company. They have been in business for over 70 years. 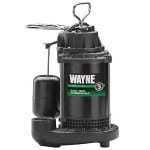 The Wayne CDU 800 is a submersible sump pump. It has a ½ HP, 10-ampere motor. It has a pumping capacity of 4200 gallons per hour (GPH) at 0 feet lift, 3000 GPH at 10 feet, 2000 GPH at 15 feet and a maximum lift (or the shut-off head) of about 26 feet. The shut-off head for this model is the one of the highest in the market. It is designed for suction on the top, which means the impellor does not get clogged with sludge. This design also ensures that there are no air locks during pumping. The impeller has a screen which protects it from debris. It has a vertical float switch for an automatic operation. It approximately turns on at 9 feet and turns off at 4 feet of water. It has a float guard which protects the switch from hang-ups. The switch is hardwired into the power circuit. It has an automatic overload mechanism to prevent damage to motor windings. It has permanently lubricated ball bearing which will never need to be oiled. Its compact size of 9 x 9 x 12 inches means it fits into an 11-inch sump. It has a 1½ inch discharge outlet which is designed for most common PVC pipes used. It has an easy handle for transport. The Wayne CDU800 has cast iron housing. It has been coated with an epoxy paint to decrease corrosion and increase life. The motor is made of epoxy coated steel. The pump housing top cover and the impellor are made of Reinforced Thermoplastic. It has a ceramic mechanical seal which protects its motor and keeps it going year after year. The pump comes with a 3-year limited warranty. It has been designed for easy installation without any plumbing changes. You need to purchase the check in valve for the discharge pipe separately. It also does not come with a manual override mechanism. This submersible sump pump is a work horse which will last for years. It is also one of the most affordable, but at the same time, one of the most powerful primary sump pumps on the market. The Wayne ESP25 comes from Wayne, a Scott Fetzer Company. Wayne Pumps have a sterling reputation among professional plumbers. Its size of 7.2x5x10 inches is similar to a primary pump, only narrower. The housing is cylindrical and solid with no external projections that can be damaged due to impact with the primary pump or the sides of the sump. The Wayne ESP25 has a pumping capacity of 3300 gallons per hour (GPH) at 0-feet, 2300GPH at a 10-feet lift, 1500GPH at a 15 feet lift and a maximum lift of 20 feet. This is enough for most home-based usage. The outlet pipe is 1½ inches in diameter which is compatible with most commercial PVC pipes. It uses a magnetic reed style float switch which opens and closes as the water level changes. This is one of the more reliable switches in the market today. It has a very simple battery display, with a light indicator showing green, yellow and red for the level of battery. This can also be seen in the dark which is useful in case of power failure. It has a sound-based alarm, which warns you when the backup sump has been activated. It uses single 75 Ampere, 12 Volt deep cycle batteries and no additional battery can be placed in serial. The sump pump is made of reinforced thermoplastic which is corrosion resistant and unlike cast iron products does not require additional epoxy based coating which need to be periodically renewed over a period of time. It can be picked up using a stainless steel ring which is corrosion resistant and strong. The installation manual is very easy to follow with pictures in it. It comes with a one-year limited warranty and a two-year parts only warranty. There are very few problems with this pump. One is that the battery, needed to run this pump, needs to be purchased separately. You also need to buy the check valve needed to be installed in the discharge pipe. Also, its impeller is at the bottom and so can be clogged due to sludge. Regular maintenance, however, will solve this problem. The alarm is also not loud enough to be heard outside the room. Despite its minor problems, the Wayne ESP25 is one of the most affordable and powerful backup sump pumps in the market. 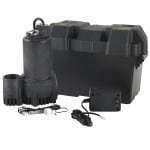 It is the best battery operated backup sump pump. The Basepump RB 750 comes from Base Products Corporation. They have been manufacturing backup sump pumps since 1999. 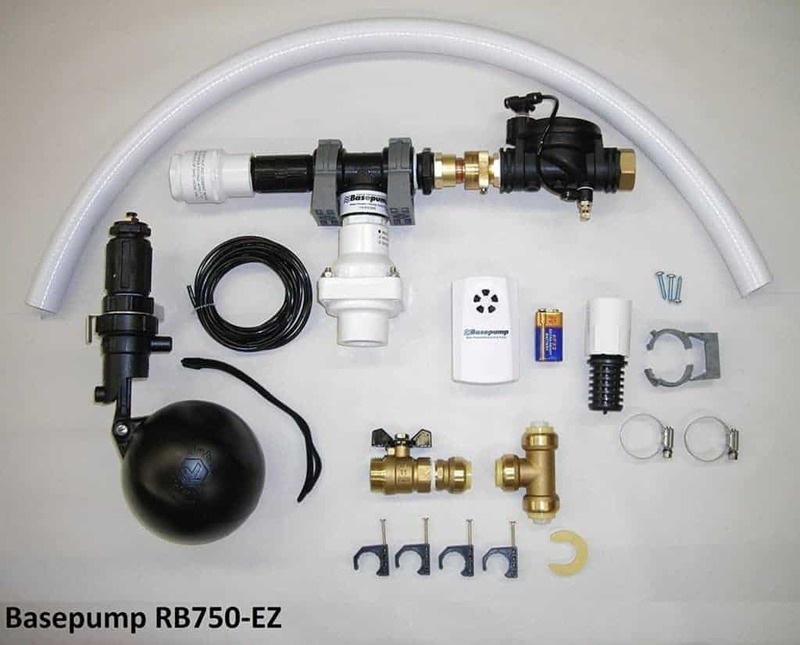 The Basepump RB750 is water-flow powered backup sump pump which uses water pressure from the city water supply to create the suction force required to pump water out. It has a pumping capacity of 750 to 900 gallons per hour. 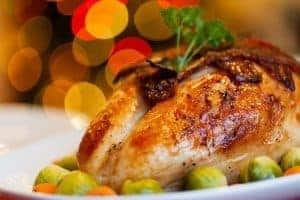 It needs water pressure of about 70 to 100 pounds per square inch (PSI) to work. It uses approximately one gallon of water to evacuate two gallons of water from the sump. You can purchase a backflow preventer to prevent the flood water mixing with your city water supply. The product dimensions are 11 x 4 x 6 inches, however, these do not matter as this pump need not be installed within the sump. Only the float and the suction tubes are placed inside the sump. However, while installing the float, ensure that there is space around it to rise with the water level. One of the biggest advantages is that this pump works on water pressure and does not need any batteries or power source or impellers or motors to work and hence is free from wires and any serious maintenance issues. Learn more about the top 5 herb grinders. The pump is made of heavy duty Polypropylene which is resistant to impact and being a plastic does not corrode. The hardware is made of stainless steel which is also resistant to corrosion. The only parts which touch the water are the float (made of plastic) and the PVC suction tube. This pump does not work if the city water pressure is less than 50 PSI and a flow rate of a minimum of 12 gallons per minute. You also need to have copper water pipes; this pump does not work with galvanized iron pipes. Also if the city has installed any back flow preventers before the water pipe enters your house, this pump will not work. Moreover, during a severe power outage, if the city shuts down water supply, this pump will not work. If you don’t have to worry about batteries and power issues, then Basepump RB750 with a high rating on Amazon is the best water flow based backup sump pump in the market. If you are looking for ways to ensure that your basement stays safe from water damage due to flooding even when there is a power failure and if you live in an area where there are heavy rains then you need to have Wayne ESP25 installed in your basement. It is the best backup sump pump thanks to its powerful motor and affordable price.